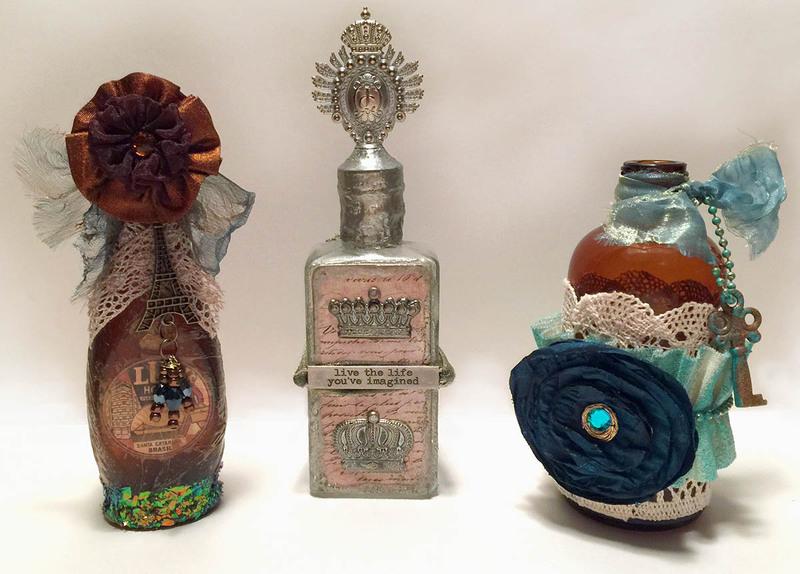 This entry was posted in Mixed Media Art - 3D and tagged altered bottles, mixed media art, vintage bottles by Administrator. Bookmark the permalink. These pics are great but don’t do justice to these beautiful altered bottles. I have seen them “up close and personal” and they are fabulous! Kudos to the artist!